There are plenty of ways to burn fat that don’t involve killing yourself at the gym, and many of them can be found with simple dietary additions and changes that are easy to implement. The key of course is consistency, and that’s why implementing 3 simple tips like the following ones can have such a big impact. These tips not only will help support optimal health and fat burning during the day, they can also help you burn fat while you’re sleeping by supporting body functions that allow it to more effectively eliminate fat overnight. Tip #1 deals with a simple drink that optimizes metabolism throughout the day but be careful about not drinking it at the wrong time! The second tip is all about a handful of cheap items you can add to your soups, salads and recipes to help increase nutrient absorption or boost your metabolism overnight (and through the whole day). Finally the third tip is a quick and easy recipe that will support liver function to eliminate belly fat toxins and to help prevent your blood sugar from spiking too high — even if you happened to have sweets after dinner! 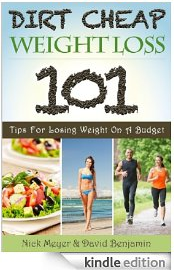 Categories: Alternative Medicine, AltHealthWORKS, Healthy Wild and Free, Weight Loss, and Whole Foods. Tags: burn fat in your sleep, burn fat overnight, burn fat sleep, burn fat while you sleep, fat while you were sleeping, how to burn fat, and how to burn fat while sleeping.